The wood : All the wood other than in doors and wardrobes is pine wood from packing crates. Bought from shops that buy packing cases and sell the wood. 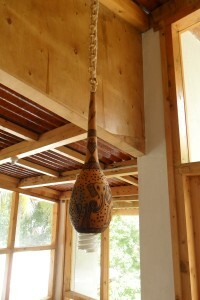 Alternative: Teak wood. Saving = 80 %. The glass : 80 % of the glass is from demolished buildings. Only the really large panes are new, because we couldn’t get them from demolished buildings. Bought from a shop dealing in glass from demolished buildings. Alternative: new glass. Saving = 30 %. Lamp shades : All of them were were being sold on the footpath in Sunday market, scrapped because of damage to the electrical components (bulb holder, etc.). The shades were glass, bracket was metal. Used the glass, returned the metal to the vendor. Alternative: new fittings. Saving = 50 %. Kitchen sinks : Bought from a dealer selling used kitchen sinks from homes and restaurants. Alternative: new sinks. Saving = 80 %. 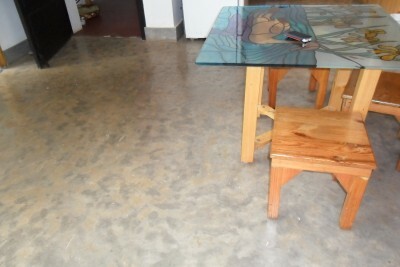 Floors : Plain cement floors everywhere, no tiled floors. Alternative: tiled floors. Saving = 60 %. 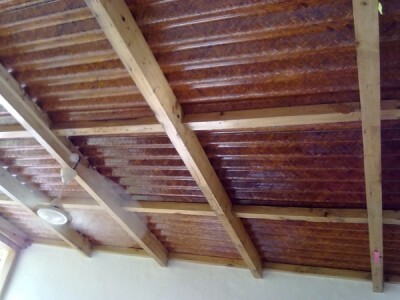 Roof : Bamboo corrugated sheet. Alternative: RCC (reinforced cement concrete) roof. Saving = 30 %. The roof is just 5 mm. 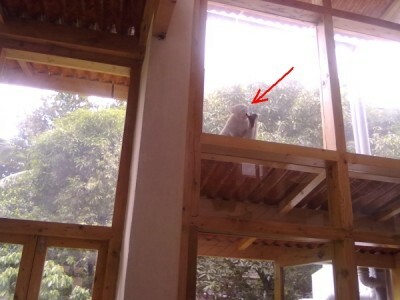 thick, does not trap heat in daytime in summer and release it an night, unlike a concrete roof. Walls : Brick walls with 0.25″ plaster. The walls are uneven as a result, following the contours of the underlying brick. Alternative: Even and flat walls which require upto 1.5″ plaster. Saving = 50 %. No air-conditioning : Simply not required in Bangalore, and a criminal waste of energy. Saving = ?. 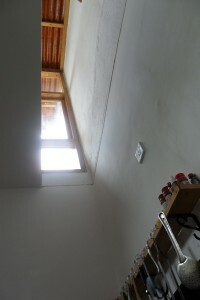 No artificial chimney in kitchen : Avoided it by natural ventilation. Saving = cost of chimney + recurring cost of electricity. Monkey protection : Spikes to dissuade entry. Alternative : Grills on windows. Saving = cost of grills. 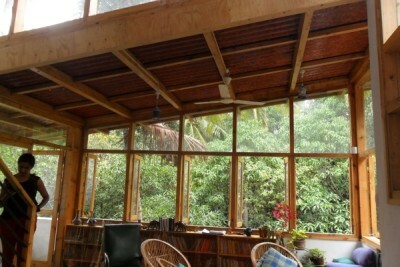 Windows everywhere, instead of walls: Walls are for keeping the weather out, windows are for letting it in. Bangalore’s weather is nice enough through the year to invite it in, so all our walls are actually windows. House built to last 25 years: We build our houses to last 2000 years, but break them down every 25 years. Each generation that comes along wants a different kind of home because space requirements have changed or building technology has changed. So we decided to build a house that would fall down on its 25th birthday. We don’t have a hoard of gold or cash, and all our appliances are second hand or factory seconds. Thieves are welcome to steal these. For security we have a high tech intruder detection system with a loud alarm – her name’s Laila, and she’s our kachra dog. We found her hanging around near a dust bin near our home, made friends with her, and now she’s started living with us. We think the combination of nothing to steal and Laila is enough of a deterrent for thieves. Thats the perfect approach to security 🙂 We often let paranoia and insecurities drive our decisions. Lovely house, Das, and inspiring effort. Will hopefully create something similar someday. 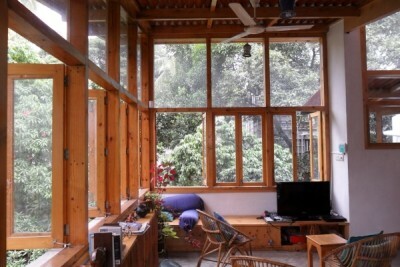 I wish I knew about your house when I came to bangalore a few months back… I am so tempted to see it! Photos look very good..
One que – what’s company seconds? Btw, happened to see your refrigerator in one of the photos.. may be next time you can prefer single door one. I had read somewhere it takes less electricity. 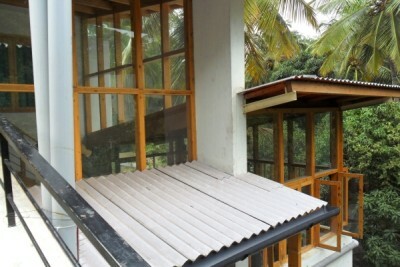 Did you also make rain water harvesting, water filtering-reusing systems? In my rented house, I generally store used water (from washing vessels and utensils) in a bucket and use it in toilet. (We have stopped using toilet flush anyways, as it wastes a lot of water). As you have built your own house you can think of an efficient system with filtering and then diverting to toilet etc. Hi Sejal. You should come next time you’re in Bangalore. Factory seconds : See the ‘Appliances and vehicles’ page. 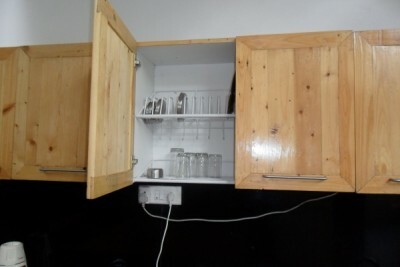 The fridge : I think multi-door fridges are more energy-efficient because you open only the section in which you have work and not the whole unit. Rain water harvesting : Have a 20,000 litre tank which I believe should reduce our consumption of municipal water to half, given Bangalore’s rainfall pattern. If this works as designed, we’ll add more capacity to become fully self-sufficient in water. Gray water harvesting : The bath and wash basin water from 2 second floor toilets goes into a loft tank, is used for the garden. We also used to pipe it to the first floor toilet’s commode, but even the mild soap in it caused bacterial action, turned the water black and smelly as it was stored in the loft tank. Looking for a solution to this problem so we can start doing this again. Just give an idea also as to if somebody wants to convert their apartment home or a individual home what would be an approximation cost involved . Cost to convert an existing home : I guess it depends on the definition of ‘convert’. In our case it was a new floor built over an existing floor. It cost about 50 % of what it would have cost without the reuse and reduce. Windows without grills : See my reply to Shaila’s query in this page. 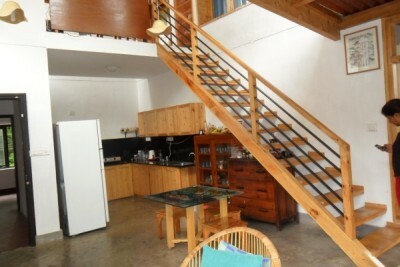 Hi Das, We have an independent house, in Bangalore. Built by my Mom about 7 years ago, it is not energy/anything efficient, since my parents rarely had the time/will for it. They primarily built it for rental purposes, and it is serving that purpose. 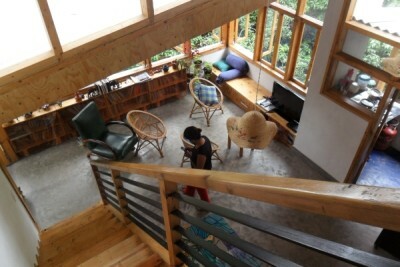 We though stay on the first floor of the same house (a 1000 sq feet) house with about 2000 sq feet of open space, quite nice. 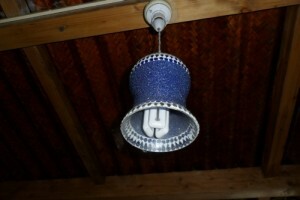 Love your idea of using reused things. Really inspirational. Me and my husband started cycling a while back, and also do recycle our organic waste. we do some gardening, but are not yet self sufficient. I am also cutting down on use of detergents now, and buying second hands from anywhere (thx to OLX). Would be interesting to meet you, and see your house. Looks beautiful. Someday, I will make a house of my own, and follow the lead of people like you. Nice to know that you cycle. You’re of course welcome to visit our house any time. See my email, with my contact details. We are about to start construction of our house. Would love to visit your house once to get a few ideas. Kindly let us know a convenient day / time. We live in Bannerghatta Road. Call me and we’ll fix a time for the visit. Will email you my phone number. Have emailed you my phone number. Call any time, and drop in if you want to see the house. I will email you my phone number. Great stuff here. Wish you had many young Indians reading this. Thanks for sharing your home with us. ..truely inspiring das,thanku & riti for sharing all these valuable info amidst the natural warmth& friendliness created in your home:)..hope to duplicate your ideas in my new house.. Thank you Sapna. Good luck with building your new home. Yes! Finally something about appliances. Sir, Can you please e mail your contact details?